The Center for Social Enrichment and Educational Development is a state of the art, all-inclusive center for Children, Adolescents and Adults with autism and other related disabilities. Please read about our amazing team and be sure to Contact us if you have any questions or would like to get started with services. We are also happy to share our favorite resources including helpful books, Apps and websites. Evan Schermer is the Co-Founder and President of the Center for Social Enrichment and Educational Development, LLC (“The SEED Center”). 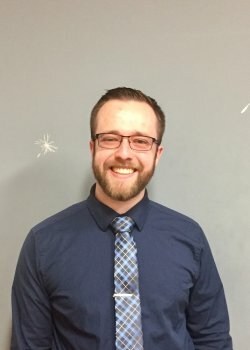 Mr. Schermer received his Master of Science degree in school psychology from St. John’s University and his Bachelor of Science degree in psychology from Towson University. 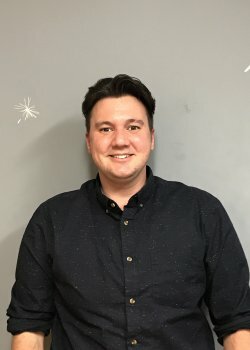 He is a New York State certified school psychologist and has worked with children and young adults with autism and related disabilities for 15 years. For the past 10 years he has helped established several private schools and a post-secondary program for individuals with special needs. Furthermore, he has provided consulting services for public schools where he has been effective in helping schools reduce costs while increasing efficiency and effectiveness. Clinically, Mr. Schermer has received advanced training in Collaborative Problem Solving (CPS) and has conducted many workshops and professional development trainings on CPS as well as other topics related to autism and special needs. Mr. Schermer is a certified instructor in Nonviolent Crisis Intervention (CPI) and trains and certifies all therapists employed by The SEED Center. Mr. Schermer has acted as an advocate, providing support and knowledge to families who require guidance. In addition, has been an expert witness for impartial hearings for hundreds of cases in the NY Metro area. Mr. Schermer previously was the Chairman of the Custom Education Foundation, which is a not-for-profit (501c3) organization that provides resources and support to individuals with special needs and their families. Mr. Schermer was also awarded the U.S. Small Business Administration’s Entrepreneurial Success Award in May of 2015. Mr. Schermer’s experience and knowledge clinically and professionally, ensure a solid foundation and strength for The SEED Center to grow on. Charlene Schermer is the co-founder and Vice President of the Center for Social Enrichment and Educational Development, LLC (“The SEED Center”). 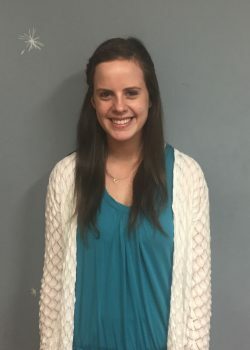 Mrs. Schermer received her Master of Arts in Special Education from New York University and her Bachelor of Science in Elementary Education with a specialization in Early Childhood Studies from Long Island University. She holds a dual teaching certification in Special Education and Elementary Education, as well as a NAP Montessori Teacher Certification. 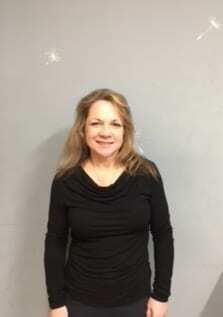 Mrs. Schermer has received training in Collaborative Problem Solving (CPS), Applied Behavior Analysis (ABA), Recipe for Reading and the Wilson Reading Program. She has been working in the field of education for over 12 years and has experience working with individuals with autism and other related neurobiological disorders such as Asperger’s syndrome, bi-polar disorder, Tourette’s syndrome, ADHD, OCD, anxiety, and depression. Andres serves as the Finance Director at The SEED Center. He’s primarily responsible for overseeing the day-to-day financial activities of the company and that these are in compliance with company standards. In addition, he oversees the billing and coding of all services at the center. He holds a Bachelor’s degree in Legal Studies from Western Connecticut University and an Associate’s degree in Accounting. Mr. Alvarez has years of experience in billing, coding, accounting services, tax preparation, and payroll. Mr. Alvarez has registered with IRS-CITA program to help individuals with preparation of tax returns. Molly DeLucia serves as the Director of Operations and Human Resources at The SEED Center. She holds a Bachelor’s degree in Psychology with a minor in Sociology from the University of Vermont. While pursuing her degree at UVM, Molly was a team member at the Center for Health and Wellbeing, which provided crisis prevention, peer mediation, and education to students regarding overall health and wellness. Additionally, Molly spent summers teaching sailing to individuals with physical and mental disabilities at the Community Sailing Center in Burlington. Prior to the SEED Center, Molly was employed as a Recruitment Specialist at a National Recruiting Agency and then joined a Senior Executive Career Advisory and Private Search Firm. Molly brings to the SEED Center a combination of her desire to work in the business field together with her love and compassion for children. Evie works at The SEED Center as a BCBA. She graduated from The Pennsylvania State University and received a Bachelors of Science in Psychology with a Neuroscience concentration. During her undergraduate years, she worked as a research assistant in a concussion laboratory conducting assessments and computing data used in return to play decisions for athletes. Evie almost went for a Master’s in Neuropsychology. However, she realized after her first experience as a Behavior Therapist she found her passion helping others to learn, navigate toward independence and maintain a high quality of life. Evie is an ABA enthusiast who over the past 4 years has worked in a variety of schools, homes and community settings. 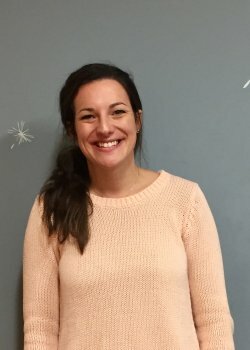 Emily Blau joins The SEED Center as a Behavior Therapist. She holds a Masters of Education degree from Lesley University and has completed a graduate certificate in Behavioral Interventions in Autism at the University of Massachusetts Lowell. She has taught in private schools serving students of diverse backgrounds and needs. As a mother of a child with Autism Spectrum Disorder, she has implemented Individualized Education Plans, Functional Behavior Assessments and Behavior Intervention Plans. 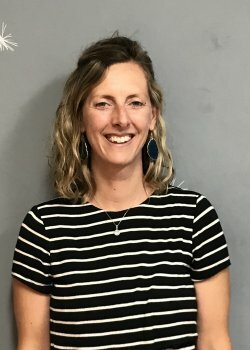 Emily is passionate about using her knowledge and experience to help children and families coping with the challenges of ASD. 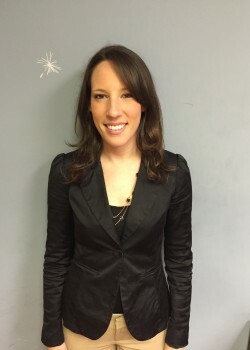 Megan Quinn joined the SEED Center as a behavioral therapist. She graduated with her Bachelors degree in psychology from the University of South Florida. 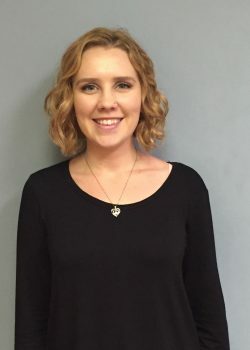 After completing her undergraduate degree, Megan pursed a job doing ABA therapy and has worked one on one with children in homes, schools and the community. Megan is currently attending Pace University for her Master’s degree in Mental Health Counseling. She hopes to earn her doctorate degree in counseling psychology and counsel children and families who are dealing with chronic and genetic illnesses. 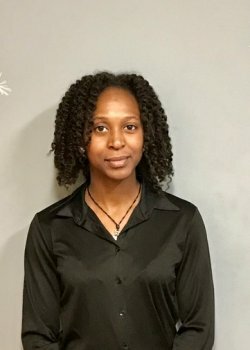 Genese Semey serves as a Registered Behavior Technician at the Center for Social Enrichment and Educational Development, LLC (“The SEED Center”). She graduated from Fordham University in 2002 with a BS in Psychology & in April of 2016 obtained certification from the Behavior Analyst Certification Board (BACB) as a Registered Behavior Technician. Genese has 15 years experience working with the autistic population. She has experience with children and individuals on all aspects of the spectrum ranging in ages from 2 years old up to young adults aged 24. Allie has been working with children with autism and other related disorders for over four years. She began working with children with emotional and behavioral disorders, but soon discovered her passion for children with autism, and wanted to dedicate herself to ABA. Allie obtained her RBT credential and recently passed her BCBA exam. Allie loves seeing the difference ABA can make in children’s lives and truly believes in the principles; she looks forward to becoming a BCBA. Kim works as a Registered Behavior Technician at The SEED Center. She graduated from UConn with a bachelor’s degree in Human Development and Family Studies, concentration in Early Childhood Development. Prior to joining The SEED Center team, Kim worked with children in an array of settings, including schools, camps and homes. Kim discovered her true passion for helping children with autism and their families while employed as a nanny for a child on the spectrum. This rewarding experience allowed her to gain further knowledge about autism, training from various specialists as well as the opportunity to participate in a Pivotal Response Training (ABA) study at Yale University Child Center. 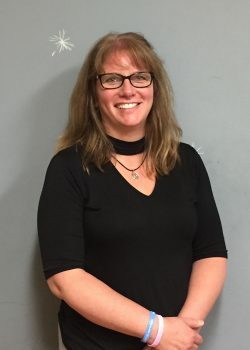 Kim is strongly dedicated to improving the lives of children with autism and is pursuing a master’s degree in Applied Behavior Analysis at Western Connecticut State University. 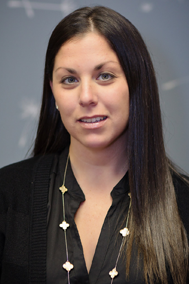 Joanna graduated from Mercy College in Dobbs Ferry with a Bachelor’s Degree in Public Accounting. Her previous job was at Diversified Recovery Solutions in Westchester as an Accounts Receivable Specialist and an Administrative Assistant. Her role at DRS was to perform financial reports for company clients and to complete administrative office work for the CEO of the Company. Joanna has an nice personality with lot of energy and a great smile making everyone feel welcome. 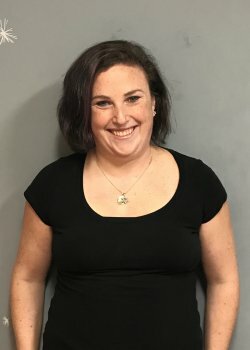 She has worked previously with children that need physical therapy, enjoys working with individuals with disabilities, and loves to see their joy and happiness. 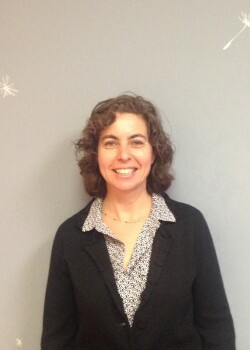 Sandra (Sandy) is a Board Certified Behavior Analyst, BCBA, and a Clinical Director at The SEED Center. Sandy has over 17 years experience in education and many years working with children and adults in the special needs community. Sandy holds a Bachelor’s degree in education from Mercy College and a Master’s degree in education and Applied Behavior Analysis from the University of Cincinnati. Sandy has committed her life to bettering the lives of children, as well as adults, and is putting that passion to use here at The SEED Center. Genevieve Eloskof serves as a Clinical Director at the SEED Center. She holds a Bachelor’s of Science from the University of California, San Diego and a Master’s of Arts from the Pepperdine University, California. 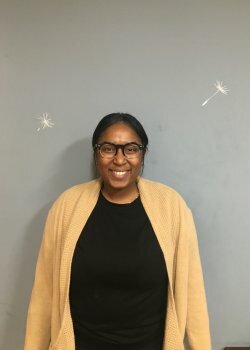 Genevieve has over 8 years experience working with individuals (2-30 years old) with autism and other developmental disabilities in Southern California. She has worked in a variety of settings including schools, homes, and residential facilities. She is adept in conducting behavioral assessments, developing and implementing complex Behavior Intervention Plans (BIP) for challenging behaviors. Genevieve has a significant amount of experience in creating individualized treatment plans, staff training, and parent consultations. 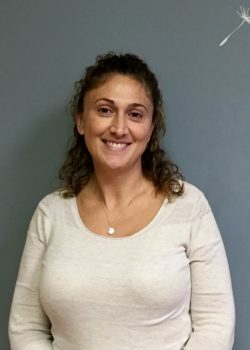 With her recent relocation to the east coast, Genevieve is committed to providing quality services to individuals with developmental disabilities and their families here as The SEED Center. 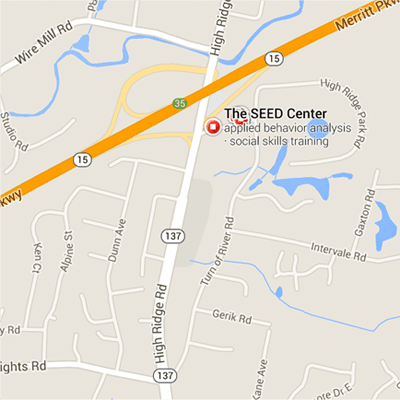 Matt serves as a Behavior Therapist at The SEED Center, LLC. 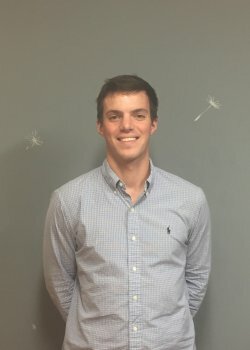 During his undergraduate career at UConn, Storrs, Matt became increasingly interested in developmental and abnormal psychology. 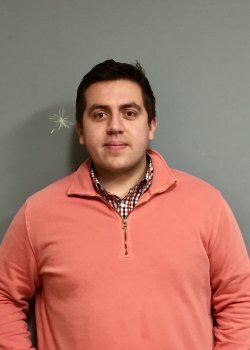 After receiving a Bachelor’s degree in psychology Matt requested the Behavior Therapist position at The Center for Growth & Development located in Wilton. After 2 years he mastered the implementation of natural environment programming to teach receptive and expressive language, self-help skills, social skills and social cognition. Matt derives from a family of caregivers, including a BCaBA. He plans on following their footsteps and becoming an avid team member at SEED. Maura is a Board Certified Behavior Analyst, BCBA, at the SEED Center. She holds a Bachelor’s degree in Psychology and a Master’s degree in Early Childhood Education, both from Mercy College. She also completed her Applied Behavior Analysis coursework at Mercy College. In 2014, she attained New York State Licensure in Behavior Analysis. Maura has over 12 years of experience working with individuals with autism and other developmental disabilities and their families. 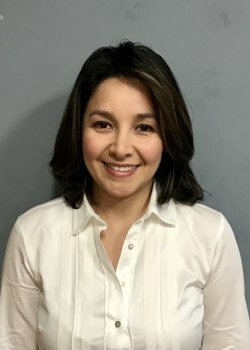 She believes strongly in a collaborate approach to treatment, and she looks forward to putting her knowledge and experience to work to improve the quality of life for individuals and their families. Cynthia Morris is a Behavior Therapist at The SEED Center. Cynthia graduated from the University of Alabama at Birmingham with a BS in Early Childhood Education. She worked for the Birmingham City schools for 16 years. During this time she worked with students with special needs. Cynthia was a substitute special education teacher for 8 years with the Shelton Public School System. Cynthia is currently enrolled in a Master’s program for Instruction and Curriculum for Autism Spectrum Disorder and plans to work toward her BCBA certification. Cynthia is passionate about teaching young children with special needs and working with their families, coping with the challenges of ASD. Amanda comes to the SEED center with 10 years of experience working with individuals with autism and other developmental disorders. She earned a Bachelor’s of Arts in Psychology with a concentration in Human Development from the College of Mount Saint Vincent. 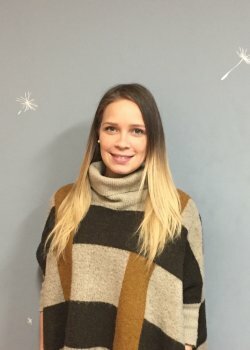 Amanda has worked in both home, and community settings as a Lead Behavior Therapist, working closely with children with autism and their families. Amanda has completed over 10 early childhood education courses which included practicum work in a variety of settings, and is currently in the process of applying to graduate programs in ABA in order to reach her professional goal of obtaining the BCBA credential. Erika joined The SEED Center as a Registered Behavior Technician. 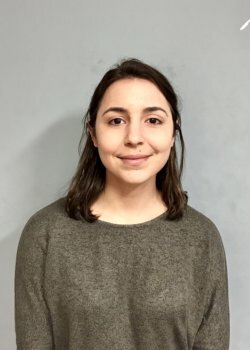 She is attending her last year at the University of Connecticut as a Psychology major with a minor in Women, Gender, and Sexualities Studies. She also serves as a Certified Sexual Assault Advocate within Fairfield County. She has years of experience mentoring and tutoring many students from elementary school to high school, few of whom have Autism Spectrum Disorder. She has a desire to help others, especially the younger generation, to improve their lives and achieve their goals. Allison serves as an Administrative Assistant for the SEED Center. Allison graduated from Roanoke College in Virginia with a Bachelor of Science in Biology and a minor in Psychology. She previously worked in North Carolina as a Recruiting Coordinator and Claims Coordinator. Over the years, she has worked with children acting as a nanny, soccer coach, and little league referee. Allison is excited to have a role interacting with children and is eager to help make a difference for individuals with disabilities. Andrew Laro serves as a Behavior Therapist with the SEED Center. Andrew graduated from Eastern University in St. Davids, Pennsylvania with a BA in Psychology and a BA in Youth Ministry in the fall of 2017. While serving as an RA with his school and as a church youth leader, Andrew has worked with various individuals with ASD. He soon realized that he had a strong desire to work with these individuals and is excited to continue doing so with the SEED Center. Andrew has a passion for helping others to reach their full potential and live more full and complete lives in whatever capacity he is able to. Daria serves as a Registered Behavior Technician at the SEED Center. She has personally experienced the challenges families of children on the spectrum face when navigating the world with her son who has autism. 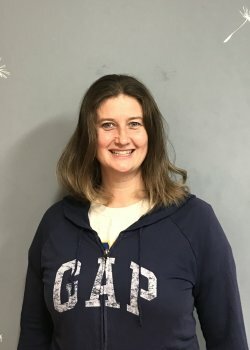 Daria is knowledgeable in ASD, SPD, IEPs, FBAs, and the rest of the alphabet soup of acronyms associated with being a special needs parent and has served as an educational advocate for hers and other families. When her prior employer downsized, Daria took the opportunity to enroll in college to pursue degrees in ABA and child development. 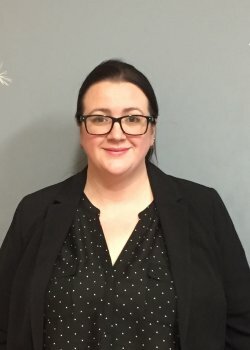 She is devoted to using her personal, educational and professional experience to help other families as well as promote a better understanding of neurodiversity in schools. 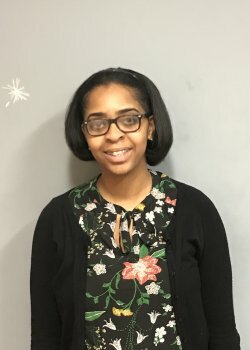 Smileyne is a Behavior Technician that joins the SEED Center with 5 years experience working with individuals with disabilities and 3+ years working with individuals with autism. She entered the field after graduating from the University of Connecticut with a Bachelor of Science in Allied Health Sciences, wanting to help others increase their own autonomy. Smileyne has worked providing needs in school-based therapy and in-home support ABA services. 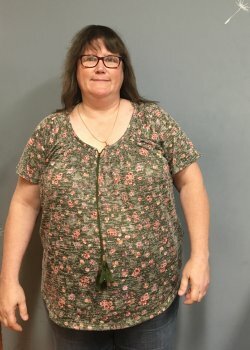 Smileyne has a love for helping people and hopes to continue her education to better serve individuals with disabilities, promoting physical activity and self-independence. William serves as a Behavior Therapist at The SEED Center, LLC. By profession, William has an Associate and Bachelor’s degree as an IT Analyst with over fifteen years’ experience. While working over a decade in IT, William pursued his desire for human services. 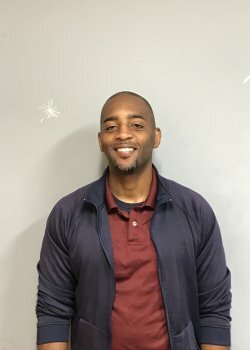 He began this journey by volunteering for the Family Re-Entry organization where he felt the calling to help serve souls who are disengaged from society, school, peers and family. Through volunteerism, he helps to reintegrate youths back into society, school, peers and family. With this, he ventured from his profession, he was then employed at the Boys & Girls Village as a Para Professional and was quickly recognized for his passion and dedication to his belief and dream of working with children. He was promoted to Milieu supervisor and continued his career there until starting as a Therapist at The SEED Center. Brittany is a Board Certified Behavior Analyst, BCBA. She holds a Bachelor’s degree in Communication Sciences and Disorders from the College of Saint Rose. She completed her Masters in Applied Behavior Analysis at the Sage Colleges. Brittany has over 5 years experience working with individuals with autism. She has worked in both the school and residential settings. Brittany is looking forward to continuing to use her knowledge of ABA to benefit those she works with. Christine Velazquez works as a School Psychologist for The SEED Center. She has worked as a Bilingual School Psychologist in the Stamford and New York City public schools. As an undergraduate student, this was not her plan! Fascinated by international relations and different cultures, she earned a bachelor’s degree in Foreign Affairs and Spanish at the University Virginia. After spending her junior year abroad in Seville, Spain, she decided she wanted to spend more time there to improve her Spanish, taste for tapas, and breadth of travel in Europe. She taught English in a dual-language elementary school, which was her first official job working in education. As she has always had a passion for working with children, she was not surprised to find that she loved working in schools. Upon returning home to the States, she pursued a degree in School Psychology at CUNY Brooklyn College. She has been so fortunate to work with talented and dedicated educators from whom she has learned to conduct psycho-educational evaluations, lead social skills groups for students on the Autism Spectrum, counsel, and consult in busy, diverse school districts. Christine lives in Stamford with her husband, daughter, and son. She loves to travel, read, and go to the beach… and taste new tapas! Elliot has specialized in the education and treatment of individuals with autism and other exceptionalities since 2010. He is a Board Certified Behavior Analyst and holds a Master of Science degree in Teaching, specializing in education for students with disabilities. He has provided consultation, training, and direct services in many public and private schools, as well as home and community-based settings. 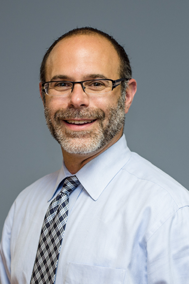 His interests include relational frame theory and stimulus equivalence, observational learning, behavioral economics, and effective teaching strategies for the development of flexible complex behavioral repertoires in education. He has a passion for integrating high-quality behavior analytic services into everyday settings to help all people meet meaningful outcomes. 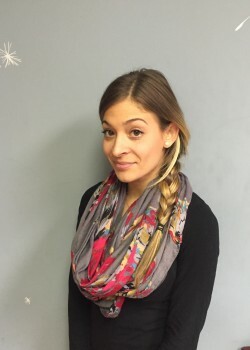 Danielle received her Bachelor’s degree in Elementary and Special Education from the University of Hartford in May of 2015. Since graduating she has worked in ABA classrooms in different school districts. From this experience, she then decided she wanted to continue her education in ABA and is currently enrolled in a Masters program at Northeastern University to get her Masters in ABA. She hopes to then go on to get her BCBA. Danielle originally started working with children with Autism because she has an older sister with Autism. Her sister inspired her to help children who may not be able to advocate for themselves. Danielle serves as a Registered Behavior Technician at The SEED Center. She has worked as a Para Educator with children with autism in the public school system for the past 4 years. Danielle became a Registered Behavior Technician in March of 2018. She enjoys working with children and looks forward to working with the SEED Center! Melissa joins The SEED Center as a Behavior Technician. She graduated with a bachelor’s degree in Criminal Justice from Albertus Magnus college. After completing her undergraduate degree, she worked one on one and in full classroom settings as a paraprofessional and ABA therapist. 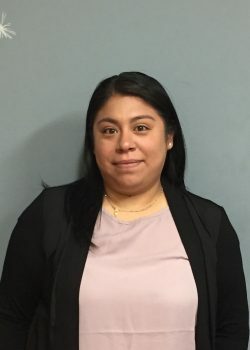 Melissa is currently attending the University of Connecticut working on her Master’s in Social Work. Melissa is extremely dedicated to improving the lives of others one step at a time. Carissa serves as a Behavior Technician at The SEED Center, LLC. She is currently finishing up her Bachelor’s Degree in Psychology at the University of Bridgeport. Carissa discovered her passion for abnormal Psychology during her freshman year at the University while attending Mental Health Seminars. Prior to joining The SEED Center team, Carissa spent time as an assistant teacher where she developed the love for working with special needs children. Carissa is looking forward to expanding her knowledge and positively impacting the lives of families in need. 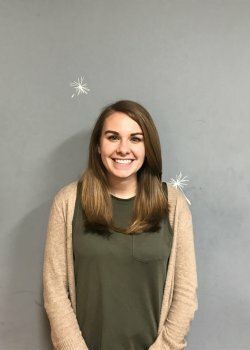 Ciera comes to the SEED center as a Behavior Technician with 3+ years of experience working with individuals with autism and other developmental disorders. 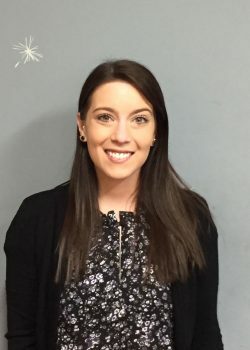 She earned a Bachelor’s of Arts and Sciences in Interdisciplinary studies with a dual focus in Child Psychology and Social Work while also retaining a minor in Biology from Western Connecticut State University. 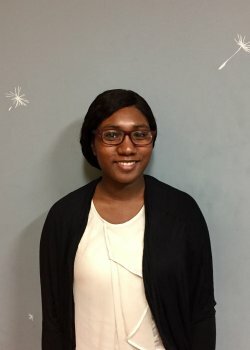 Ciera has been working closely with children of all ages for over 10 years and hopes to continue her works as a Medical student at Dartmouth college within the next few years. Angie joins The SEED Center as a Behavior Technician. She will receive her diploma in General Studies with Concentration in Clinical Psychology from the University of Connecticut in December of 2018. She also serves as a Certified Sexual Assault Advocate within Fairfield County since 2017. 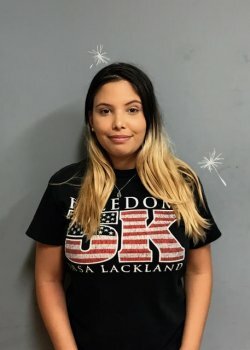 Her main goal is to work on improving the lives of children so they can have a bright future, and to do so, she started this passion by volunteering as a mentor and reading tutor with students from elementary school to high school since she was in College. 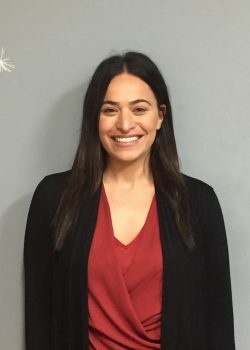 To advance her career she is planning to obtain a Masters in Social Work with a concentration in Families and Children from Southern Connecticut State University. Ensuring children’s growth, safety and wellbeing is what she plans to do the rest of her life. 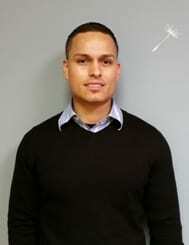 Carlos comes to The SEED Center as a Behavior Technician with over 5 years of experience in the Autism field. 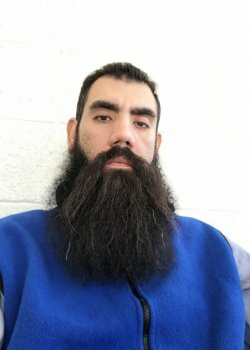 Carlos has held positions as a Respite worker, Job coach, and Youth Counselor. He now works in a High school as a Transition Coach with youth that are autistic and behavioral. Carlos has a passion for helping his community and working with people that have different abilities. He will be going back to school in the Fall to finish his degree in childhood psychology. Alexa joined the SEED Center as an Administrative Assistant. She graduated with a Bachelors of Science Degree in Promotion Studies, Concentrated in Community Health and a Minor in Psychology from Western Connecticut State University. She developed and implemented a two year health promotion based program for Danbury Hospital Employees called “Cooking With Colonials.” Employees made their own açaí bowls and were informed about the importance of fruit and vegetable consumption, how to decrease processed food consumptions, and ways to decrease sodium intake. She also created and implemented the “Garden-To-Table” program for The Seminole Indian Tribe Youth Summer Camp where children and teens learned how to properly plant and cultivate fruit, vegetables, and herbs and also utilize their plants for their summer cooking classes. She has a strong interest in helping children, teens, and adults achieve their short and long term goals and aspirations.